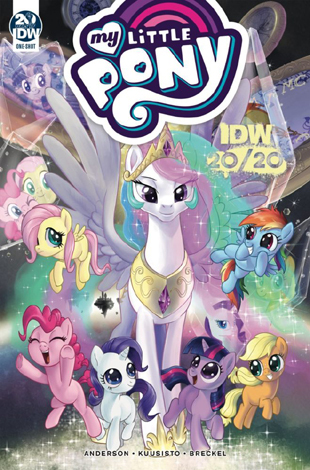 And yet more from IDW — this time back in the world of My Little Pony: Friendship Is Magic. “Powerless and threatened by a great evil, Princess Luna discovers she can’t count on her sister or any of the usual heroes of Equestria. Running out of time and with nowhere to turn, Luna assembles a team specially suited to save the day… a team of former villains!” Wow, we’re there! 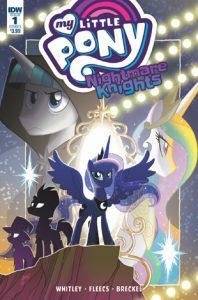 Nightmare Knights comes to us from the team of writer Jeremy Whitley and frequent Pony artists Tony Fleecs and Heather Breckel. Whoa Nelly! We missed a new My Little Pony tie-in? Yes we did — Naughty us! Well here it is: IDW have a new comic miniseries. 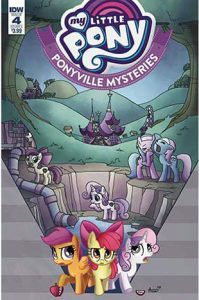 My Little Pony: Ponyville Mysteries is written by Christina Rice, with art from Agnes Garbowska and Heather Breckel (all of them MLP veterans). “Welcome to a new series of mystery and intrigue! The Cutie Mark Crusaders discover their inner detectives and solve crimes nopony else can! Will they be able to discover who is stealing supplies from Ponyville hospital and get their schoolwork done at the same time?” Turns out this all fits in with the Ponyville Mysteries series of books as well. 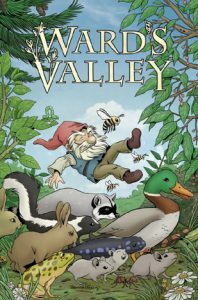 Ward’s Valley is a new full-color fantasy graphic novel from IDW and Top Shelf Comics. “Ward is a grumpy gnome who only wants to be left alone. He never asked for company… but when his beautiful forest starts filling up with animals, it’s more than just grumpiness that makes him nervous. Mysterious trolls are one the loose and Ward will need all the help he can get to defend Ward’s Valley.” This is interesting to note: The art is by Brenda Hickey, known for her work on IDW’s My Little Pony: Friendship Is Magic series, the the story is written by Bobby Curnow, the My Little Pony series editor. Look for it on the shelves now. 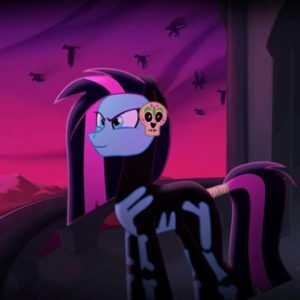 Katie Cook is best known among Furry Fans for her work as a writer and artist on both My Little Pony: Friendship is Magic comics and for her own creation, Gronk. Being something of an expert on drawing adorable things, now she’s written and illustrated an instructional book called Drawing Cute (from Impact Books). 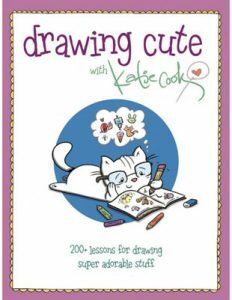 “Master of cute Katie Cook teaches you how to draw everything adorable in her first tutorial book with quick and easy-to-follow step-by-step lessons. All you need is a pencil and paper…or a napkin or a wall, depending on how confident you are in your drawing ability. Learn how to turn curvy blobs, shapes and squiggles into more than 200 different things, including fuzzy animals, cute food and inanimate objects like yarns balls, luggage and a toaster. 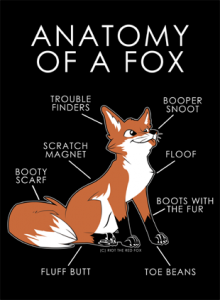 Add nubbins, swishy bits, and little smiley faces to anything and everything to transform it into something really, really cute.” It’s available now from Amazon. And their likenesses too, actually. KefkaFloyd is the on-line name of Dan Vincent, an artist who creates original laser-etched clear sculptures that glow with neon colors. So far, most of his designs are based on My Little Pony: Friendship Is Magic. But as you can see on his web site he covers other fannish ventures as well, and he’s always creating new works. So keep checking back! More stuff we found at a recent My Little Pony convention. 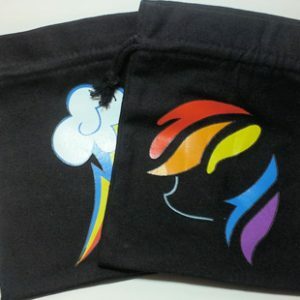 Snuggle Trumpet is, according to their web site, the home for t-shirts, dice bags, athletic jerseys, and other good stuff all decorated with custom-made vinyl decals. So far, it’s mostly about My Little Pony: Friendship Is Magic of course, but they not only make stuff based on canon characters but also based on fans’ own creations. Plus, they plan on expanding their line before long. Allan Gann made a name for himself as a crafter of custom plush toys for various organizations and individuals since 1999. 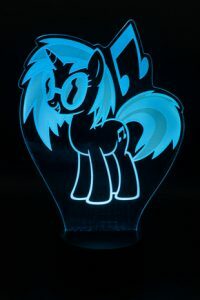 Then in 2014, he expanded his vision with Midnight Mares, designed not only as a plush toy line but also as an animated series. Inspired by My Little Pony: Friendship is Magic (obviously! ), but Midnight Mares takes things in a darker and more grown-up oriented direction. Visit the official web site and you’ll see what we mean. Interestingly, Mr. Gann has retained the services of Duo Cartoonist to help create the animation. Duo Cartoonist is well-know as the creator of the Children of the Night animated short, which won a Special Ursa Major Award.